He spent the first 11 years of his working career with Progressive Insurance Auto Claims. He knows how insurance companies work--their goal is to quickly close your claim for the lowest dollar. Ted LeBlanc's goal is to guide you through the claims process and to get you fully compensated. 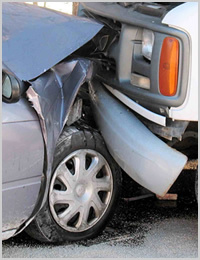 He can answer questions about your auto policy, PIP, Med Pay, collision, subrogation, UM and UIM. Insurance adjusters work for the company that employs them. Ted LeBlanc works for you. .